We’ve all heard about the benefits of exercise, but should people with hepatitis C exercise regularly? Yes! In a study published in 2009, Dr. Jean-Louis Payen and colleagues conducted a study to determine if physical activity was possible and beneficial for people with Hepatitis C receiving pegylated interferon and ribavirin therapy. The authors concluded that these patients may safely participate in a suitable level of physical exercise. People with hepatitis C who exercised had greater self-confidence, improved perception of their bodies and the disease, and a more positive attitude on constraints of treatment. 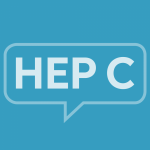 What are the benefits of exercise for people with hepatitis C? The benefits may vary for different people, but here are some good reasons to exercise. Overall health: Exercise may improve a person’s overall sense of well-being by increasing energy and boosting immune function. Incorporating the use of some light weights into an exercise routine may improve strength and increase muscle mass. Manage Pain: Patients may experience pain directly related to or indirectly related to hepatitis C. For example, patients may experience joint pain, back pain, muscle aches, or belly pain. Stretching and a regular exercise routine may help reduce or improve pain. Weight Loss: Through proper diet and exercise, patients may lose weight. Losing weight decreases the body’s demands on the liver. The result may be improved metabolic and liver test profiles. In addition, for patients who may be overweight or obese, there is an increased risk for developing type 2 diabetes. Diabetes associated with hepatitis C may be linked to cardiovascular disease-related morbidity and mortality. Patients who lose weight may lessen their risk of diabetes by improving insulin sensitivity. Reduce Inflammation: The hepatitis C virus attacks the liver and leads to inflammation. Exercise, along with a well-balanced diet, may help reduce inflammation in the liver. Ease Side Effects of Hepatitis C Treatment: Depending on the medication used to treat Hepatitis C, side effects may include insomnia, headache, fatigue, nausea, and loss of appetite. Exercise may be helpful in relieving some of these side effects. Moderate levels of exercise may improve feelings of fatigue, which is a common side effect experienced by many patients with Hepatitis C. Patients undergoing treatment may have a loss of appetite. Patients may find that a light walk before meals may increase their appetite and decrease nausea. Psychological Function: Depression and irritability may be felt by patients with Hepatitis C, either through coping with the disease or as a result of medication. Adding low-intensity exercises may boost a patient’s mood and improve feelings of depression. By reducing stress levels, patients may feel more relaxed and calm. How to Exercise with Hepatitis C: Low-impact exercises for 10-minute blocks of time may be a good way to begin an exercise routine. Some of the best options for exercise may include walking, swimming, biking, yoga, and even some weight training. Participation in the exercises should be done at a comfortable level while taking breaks, as needed, to rest. Activity levels can be increased slowly to 15 to 30 minutes of exercise for 3 to 5 days a week. Always talk to your doctor before starting a diet and exercise program. Payen JL, Pillard F, Mascarell V, Riviere D, et al. Is physical activity possible and beneficial for patients with hepatitis C receiving pegylated interferon and ribavirin therapy? Gastroenterol Clin Biol. 2009;33:8-14. Nobili V, Carter-Kent C, Feldstein AE. The role of lifestyle changes in the management of chronic liver disease. BMC Medicine. 2011;9:70. S. Department of Veterans Affairs. Viral hepatitis. Managing pain: entire lesson. Accessed October 8, 2015. S. Department of Veterans Affairs. Viral hepatitis. Diet and nutrition: entire lesson. Accessed October 8, 2015. S. Department of Veterans Affairs. Viral hepatitis. Treatment: entire lesson. Accessed October 8, 2015. S. Department of Veterans Affairs. Viral hepatitis. Alternative and complementary therapies: entire lesson. Accessed October 8, 2015. American College of Gastroenterology. Tips to lessen common side effects of HCV therapy. Accessed October 8, 2015. Abd El-Kader SM, Al-Jiffri OH, Al-Shreef FM. Liver enzymes and psychological well-being response to aerobic exercise training in patients with chronic hepatitis C. Afr health Sci. 2014;14:414-419.